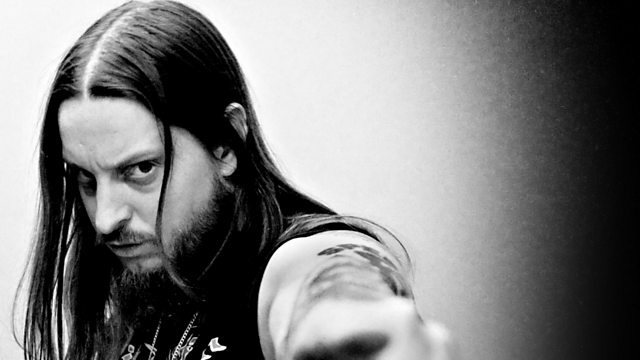 Anne Hilde Neset presents a surprising mixtape from the lord of black metal Fenriz. Plus actor Steve Buscemi accompanied by Elliott Sharp and New York composer Marina Rosenfeld. Anne Hilde Neset presents a surprising mixtape from the lord of black metal Fenriz. Best known as one half of the Norwegian metal band Darkthrone, Fenriz is an avid collector of underground music and reveals his secret love of experimental soul, avant-rock and funky basslines in this eclectic mixtape. Plus there's spoken word by Steve Buscemi accompanied by improviser Elliott Sharp, New York composer Marina Rosenfeld and Ligeti's anti-opera Le Grand Macabre. Musicians and Poets of Rajasthan. Yodel And Sing Their Greatest Hits. Funky Worm / Paint Me. A Map of Egypt Before the Sands. The Film Music Of Toru Takemitsu.